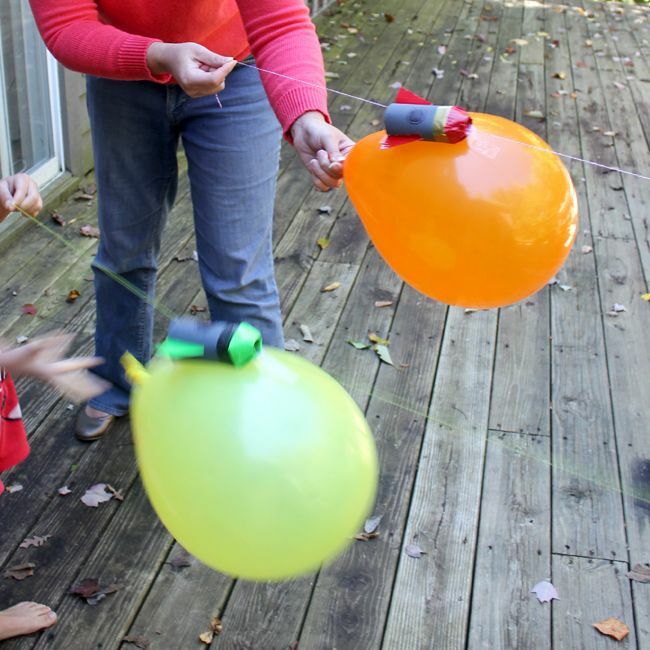 Mickey’s Math Activities: Balloon Rocket Racers | My boys had such a blast with this project! We raced our balloon rockets over and over. Tip: Make sure you have a bunch of extra balloons and tape on hand!